Carrie Fisher was honored at the 2018 Grammy Awards with a posthumous Best Spoken Word award for the audiobook performance of her book The Princess Diarist. It was her first Grammy win and second nomination. She was previously nominated for her book Wishful Drinking in 2009. Carrie Fisher won her first Grammy award posthumously on Sunday, taking home the prize for best spoken word album for the audio version of her memoir The Princess Diarist. Fisher was previously nominated for a Grammy in the same category in 2009 for the audio recording of her book Wishful Drinking. 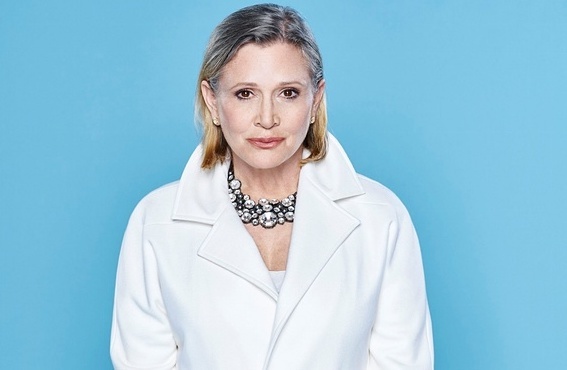 Best known for her role as Princess Leia in the Star Wars films, Fisher died Dec. 27, 2016, at the age of 60, after suffering a heart attack four days earlier on a flight from London to Los Angeles. The next day, Fisher’s mother Debbie Reynolds also died. Fisher beat out Bernie Sanders and Mark Ruffalo, nominated for the audiobook version of Sanders’ Our Revolution: A Future to Believe In; Neil deGrasse Tyson (Astrophysics for People in a Hurry); Bruce Springsteen (Born to Run); and Shelly Peiken (Confessions of a Serial Songwriter). The award is merely the latest posthumous honor to be given to Fisher, who received an Emmy nomination for best guest actress in a comedy for her work on the Amazon series Catastrophe. Billie Lourd paid tribute to her mother in a moving Instagram post, as did Fisher’s beloved and ever-present canine companion, Gary. Congratulations to our Princess! Always loved, never forgotten. She was such a gifted wordsmith, and still is missed.